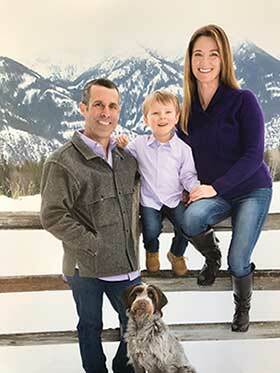 New owners Steve & Annie Ricci moved to Bigfork in 2013 with their six-month-old son, Hunter, from Washington State. 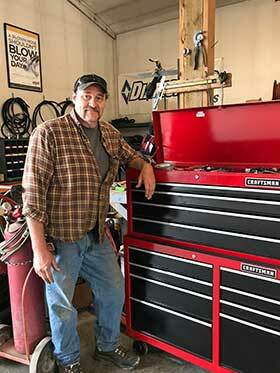 Steve has worked in the equipment rental and construction industry for over 31 years. Annie is a certified business and leadership coach and works with clients across the globe. Hunter enjoys jujitsu and playing baseball. As a family, we enjoy all the recreation this state has to offer such as camping, boating, hunting, fishing, skiing and snowshoeing. You can expect to see our dog, Birch, with us on our adventures and at the rental shop. Rob Ward was born and raised in The Valley and has been married to Tami for 30 years and they have two grown children. 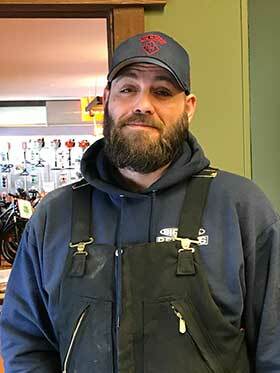 When he’s not providing stellar customer service at the rental shop, Rob enjoys fishing, boating and sports. 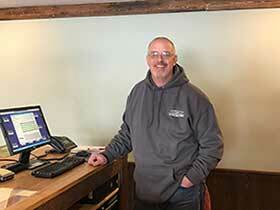 Rob’s broad experience in several industries (trucking, grocery, lawn care) makes him an ideal Store Manager for Bigfork Rentals, Inc.
Jesse Hopkins delivers equipment and helps us to prep equipment for delivery. Jesse has worked in traditional Montana industries during his 31 years in the Bigfork area including fishing, logging and fire. He enjoys riding motorcycles when he’s not working. Jesse, his wife and their six children have fun camping, fishing and getting outdoors. Bigfork Rentals, Inc. is a proud member of the American Rental Association.